Warner Bros Pictures have released the first official trailer for the feature-length-film Pokemon: Detective Pikachu which is due in Cinemas during May of 2019. 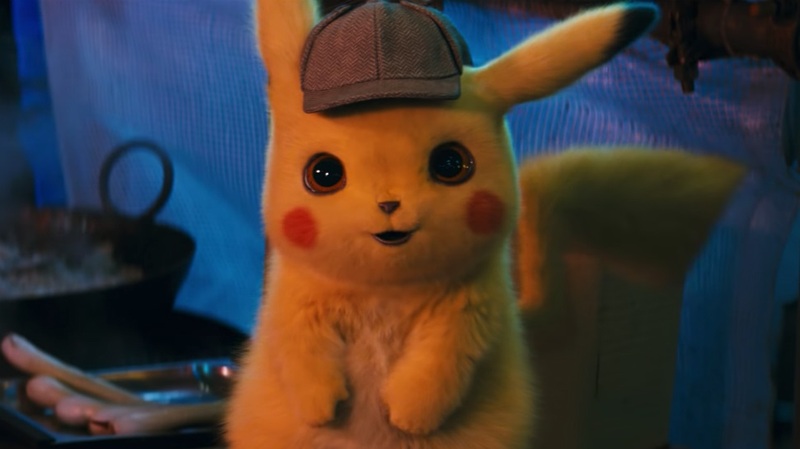 Directed by Rob Letterman (“Goosebumps,” “Monsters Vs. Aliens”), this Pokemon: Detective Pikachu film stars Ryan Reynolds (Deadpool) s the voice of Pikachu in is feature-length live-action film inspired by the Nintendo 3DS game of the same name which sees Human and Pokemon join forces in order to solve mysteries within the city. Synopsis: The story begins when ace private eye Harry Goodman goes mysteriously missing, prompting his 21-year-old son Tim to find out what happened. Aiding in the investigation is Harry’s former Pokémon partner, Detective Pikachu: a hilariously wise-cracking, adorable super-sleuth who is a puzzlement even to himself. Finding that they are uniquely equipped to communicate with one another, Tim and Pikachu join forces on a thrilling adventure to unravel the tangled mystery. Pokemon: Detective Pikachu is scheduled to receive a full cinematic release during May 2019 with actual cinematic date to be announced at a later time. Naturally this isn’t the Pokemon we know and love; but it is a brave introduction to endless possibilities and life-like Pokemon; regardless it is going to be a unique cinematic experience when released next year worldwide.